Are you tired of living paycheck to paycheck and feeling constantly stressed about money? You’re not alone. According to a survey by PWC, 52 percent of respondents said they are stressed about their finances. Not only that but millennials feel the pinch more than any other generation. What to do? One way you can lower your money stress is by building your savings. But, saving money in your 20s or 30s can be tough, especially when you’re just starting out in your career. Luckily, you can start by saving money with each paycheck. You’re probably now wondering, “How much of my salary should I save?” and “How much should I save each month?” The answers to these questions aren’t always straightforward, particularly when you’re not sure where to start. Read on to learn what percentage of your salary you should save with our three options to achieve your savings goals. Deciding how much to save each paycheck can be tough, but a good rule of thumb is to save 20 percent of your income. This is a healthy amount that can help you build your emergency savings and plan for short-term and long-term goals. So, if you’re tired of living paycheck to paycheck, saving 20 percent of your paycheck after taxes can help you break this cycle. Plus, a savings buffer will give you needed funds in case of an emergency. Of course, this is just a benchmark for how much to save each paycheck. When it comes to saving money in your 20s and 30s, how much percentage to save can vary person to person. 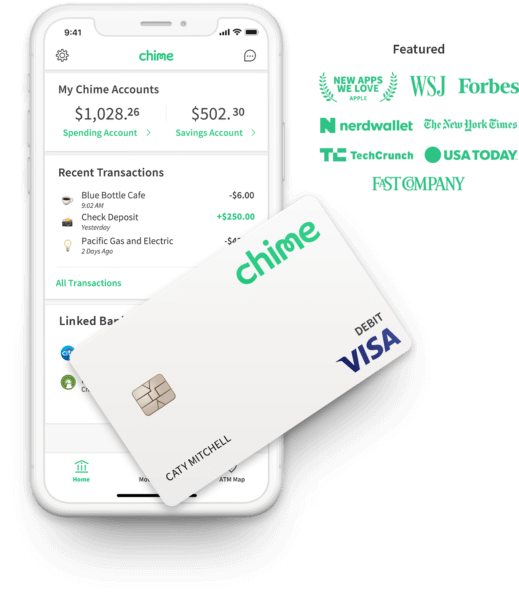 Tip to get started: Chime is a bank account that allows you to automatically save 10 percent of every paycheck automatically with its Automatic Savings features. Other benefits include a bank account with no fees and a round-up program where Chime will round up your transactions to the nearest dollar and transfer that amount to your savings account. Another way to determine how much to save money with each paycheck is to look through your income and expenses and see what you’re really working with. While saving 20 percent is a good start, it’s possible that you could save even more. For starters, check the amount you get from your paycheck after taxes. This way you’ll know how much money is actually coming into your account each month. Besides, not calculating your paycheck after taxes can mess up your budget and saving plan, as this may cause your pre-tax income to be inflated. Once you’ve determined your take-home income, look at all of your expenses. You might need to do some digging through your bank account, but make a list of all the expenses you know you have. Then, you’ll want to compare how much of your income is left over after your expenses. The resulting amount could all go to savings and it may be more than that magic 20 percent. In other words, the best savings plan is “save as much as you can.” When it comes to percentages, that might mean saving 30 percent — or an even higher percentage. You might even be able to save 50 percent of your salary. Don’t let a benchmark deter you from saving more if you can! So, what if you’ve never really saved before? The question of “What percentage of your salary should you save?” can be daunting, especially if you want to know how to stop living paycheck to paycheck. It can all seem so intimidating, especially if you’re already struggling. For those living paycheck to paycheck, saving 20 percent of your salary or saving 50 of your income sounds impossible. And, this may very well be the case. If you can’t reach a certain benchmark, you may feel like giving up completely. However, saving something is better than nothing. So, if saving is a struggle, commit to saving one percent of your paycheck after taxes. Yes, just one percent. If you can do more, then by all means do so, but if saving seems absolutely impossible, commit to one percent. For example, if your paycheck after taxes is $2,300, you’d save $23 each month. While this may seem like a small amount, you’ll slowly start to build a cushion over time that can help you break the cycle of living paycheck to paycheck. Now that you have an idea of how much percentage of each paycheck to save, how can you get started and commit to the process? The first step is to open a new savings account if you don’t already have one. You’ll also want to look for a savings account that earns interest as this will help build your cushion. Next up: make it simple by setting up automatic transfers from your checking account to your savings account. This way you’ll ensure that you’re paying yourself first. For example, perhaps you’ll set up an automatic transfer of $100 after each payday. By automating your savings, you’ll get rid of some of the mental hurdles that stop you from saving. Instead, you’ll set up a system to ensure your success with saving. Don’t let the question of “How much should I be saving?” scare you — getting started is half the battle. Ready to start? Committing to saving just might change your life.